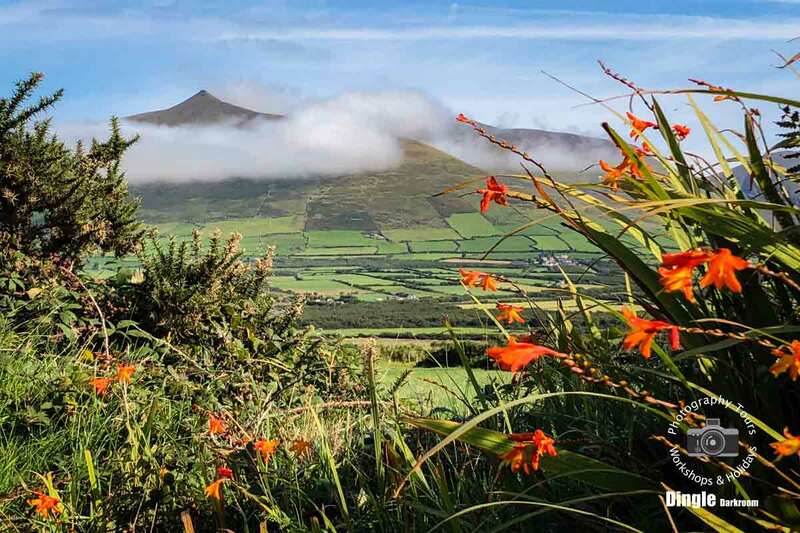 After leaving Dingle this tour takes you on to a series of amazing locations with breathtaking views to the west, north and east of Dingle, that let you experience the amazing diversity in the history, geology and landscape of the Dingle Peninsula. 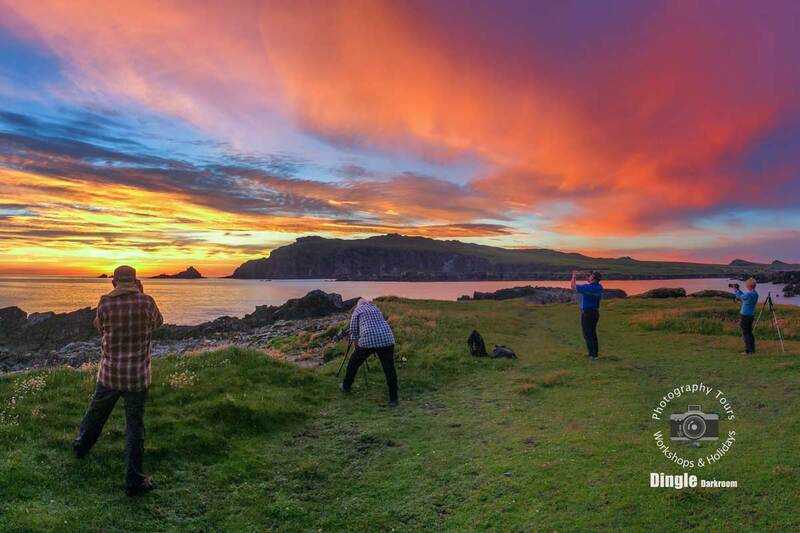 During our final session, we take the Slea Head Drive, witnessing the quieter atmosphere of the evening, while stopping off in a number of locations for the iconic landscapes around Coumeenole, Dunquin and Clogher, all with wonderful views out to the Blasket Islands and beyond. 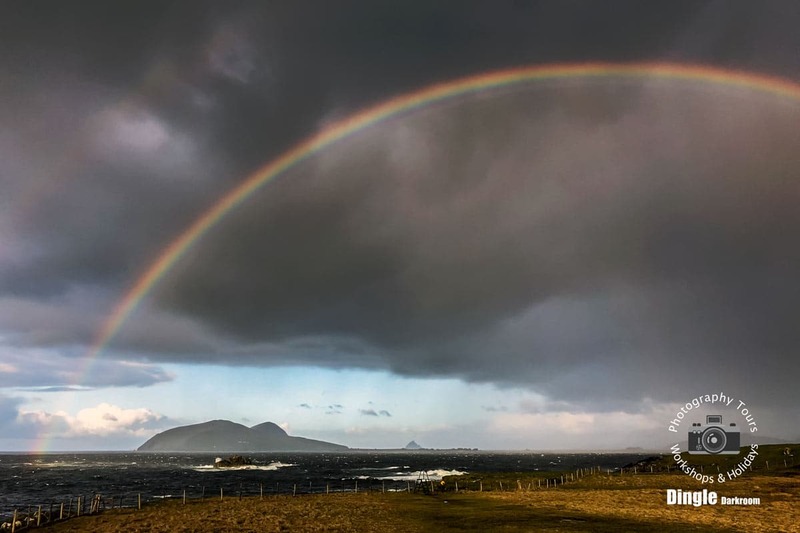 We begin with a morning tour of The Slea Head Drive, catching the morning light illuminating The Blasket Islands as we visit the iconic locations of Slea Head, Coumeenoole, Dunquin Pier and Clogher Head, as well as some less frequently visited spots along the way. After a short break for lunch in Dingle, we cover yet another area of the Dingle Peninsula until we stop for a slightly longer break for dinner during the late afternoon or early evening. Our final session finds us exploring a few more locations before we head west to the coastline to hopefully capture an amazing sunset and dusk. As ever with Dingle Darkroom Tours we’ll take the back roads wherever we can, stopping in on some rare gems along the way. No strenuous walking or climbing. With between 15 and 20 different locations visited during the day, this tour is reasonably fast paced and therefore not an ideal learning environment, however assistance, tips and advice on technique and composition are always available throughout the day. There’s always time to explore each location and get your tripod out if you so wish! For participants without a tripod we do have a few that can be used for the duration of the tour. If the weather’s forecast to be very poor on the chosen day, the tour will be arranged to the nearest fair day, if you can’t participate on an alternative day, a full refund of any deposit or payment towards the tour will be made. The tour begins in Dingle around 9.00 a.m. and returns after dusk. As well as our two breaks in Dingle, you’re more than welcome to bring a packed lunch, although there will be plenty of opportunities to get drinks, sandwiches and snacks and access facilities during the day.